Assessment is inextricably linked with learning and teaching, and its profile in British schools has never been higher. Recently the value and importance of formative assessment in supporting learning and teaching has also become widely recognised. Although assessment is a prime concern of anyone involved in education it remains a highly complex field where much controversy and misunderstanding abounds. 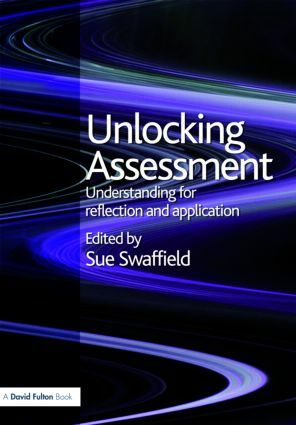 This book explores the values, principles, research and theories that underpin our understanding and practice of assessment. It also provides practical suggestions and examples, and addresses some key points about the future development of assessment. The book makes accessible complex but crucial ideas and issues, so that teachers can be more confident and proactive in shaping assessment in their classrooms, in ways that support learning and avoid unintentional harmful consequences. Can assessment unlock and open the doors to resourcefulness and agency?